determine your expenses. Check with your local municipality for building codes and a building permit before beginning construction. When choosing materials to create the deck of your dreams, not just any wood will do. Wood is now available that is treated with more environmentally-advanced preservatives, with stabilizers that can weather the elements while still retaining the beauty of real wood. Ecolife pressure-treated wood is ideal for decking, deck framing, railing, joists and beams. Ecolife’s advanced wood stabilizing preservative system makes wood look better longer and repels water for up to two years, providing maximum protection and enhanced performance for outdoor projects exposed to harsh sun, drenching rain and heavy snow. that it could take the store some time to sell your items, and the store can take as much as a 50 percent cut on your merchandise for managing the transaction. On the plus side, consignment stores may be able to sell your items for a higher price than you’d be able to sell them for online, and it can be more convenient to let a consignment store sell for you instead of going through the trouble of listing the items yourself. Post in a neighborhood forum: You can also try posting in your local neighborhood classifieds or on social media. While websites like Nextdoor tend to be more popular for people listing free items, you can offer a discount to your neighbors and plan on quicker sales since it’s easier to arrange pick-ups and drop-offs when everyone is less than a quarter-mile from each other. Donate: For things you don’t end up repurposing or selling, donate them to a local charity. Many nonprofits accept a variety of items in good condition for resale or auction. There are a number of different organizations accepting donations, and depending on what you donate, you can get a receipt for a tax write-off that can hopefully get you a larger refund the following year. Love to grill and eat outdoors? Why not build your own benches or picnic table? They provide a wonderfully rustic look as well as being sturdy. You can add removable cushions for comfort. Playtime Nothing could be more fun for kids than watching or helping to build a play set, sandbox or treehouse. If kids help, educate kids about safety rules that you follow, such as wearing gloves, goggles and a mask while working with wood. Add privacy and beauty A well-designed stained or painted fence can enhance the look of your garden, patio or deck while adding privacy and keeping out neighborhood animals. A variety of fence styles are available to serve many purposes. From containing pets to providing safety for your children, fences can help block wind and noise, enclose HVAC and trash bin areas and add curb appeal. All you need are posts, pickets and backer rails or fence panels to complete your project. If you’re new to building, start with smaller projects like a trellis or sandbox. Once you’re more confident or have experience, consider larger, more complex projects you’re dreaming about. Engage the family in brainstorming ideas to make your yard and garden a great place to hang out together. For more information about Ecolife, visit treatedwood.com. This 3 bedroom, 3 bath home is a stunning Grad Con custom rancher on a 2.02 acre lot in Whispering Meadows. Offers an open concept with luxury finishes and WV taxes! with $5,000 towards closing cost! 3-4 bdrm, beautifully updated, Central A/C, fenced yard, fireplace, sun porch, a must see! Call today! This 3 bedroom, 2 1/2 bath home features a new metal roof, updated wiring, huge eat in kitchen, family room, bonus room, remodeled tile bath, main level laundry and a master bedroom with enormous walk-in closet. Attention Investors! Looking for a great opportunity to own a spacious rental property close to FSU? One side has 3 bedrooms, 1 1/2 baths, kitchen, dining and living room. The other side has 3 bedrooms, 1 bath, kitchen and living room. Sold As Is. 3 bedroom, 1 bath home. Nice Hardwood floors throughout. Basement has the potential to be finished. 1 car garage. Additional lots included, total 0.46 acres. 4 bedrooms, 1.5 bathrooms in the main house. 2 bedrooms, 1 bathroom apartment above garage. All original woodwork is still intact. Original, rustic hardwood floors throughout the house. 1.46 acres. Sold AS-IS. ers is in no one’s best interest. Sellers should be ready and willing to open their homes, which is the best way to make a sale. An agent may suggest a lock box so the home can be shown when homeowners are not on the property. • Make suggested renovations. Agents know which features can make or break a sale. Homeowners should be amenable to certain suggestions, such as neutral paint colors, removing personal effects and clearing clutter. • Give recommendations. Real estate is a commission-based industry. Agents often tirelessly put in hours and only reap rewards if the house is sold. A homeowner who was satisfied with an agent can then recommend that person to friends or family. By working with real estate professionals, homeowners can sell their homes quickly. POTOMAC WEST 111 S. George Street, Cumberland, MD. ADVERTISE YOUR LISTING OR SERVICE!! The Power of 3 Team can be reached at Long and Foster 301-722-4700. Follow us on FB @ The Melanie Pratt Real Estate Team. Twitter @ MelSells3. TheMelSells@Gmail.com or call/text Mel at 301.268.7295. Stephpratt3@gmail.com or 303.707.9305. 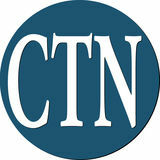 Patti.Dearcangelis@LNF.com or 301.707.2210. STUNNING colonial with majestic mtn. views. LARGE rear deck with extensive paver patio, 4-5 bedrooms with additional 23 X 17 bonus room could be 5th bdrm. GRANITE kitchen counter tops with NICE OAK cabinets, HARDWOOD & CERAMIC flooring, 7 heat zones, 2 car garage, Main level family room off kitchen. Priced $30,000 below purchase price. Many upgrades. Absolutely move in condition home Located in Mapleside. 200 Amp service, REPLACEMENT windows, METAL ROOF, Brand NEW kitchen with all NEW stainless steel appliances, NEW bath, NEW carpet & vinyl, Refinished HARDWOOD floors. A double lot gives you a 1/2 acre. Partially fenced yard, Front & back porches, WOW! NICE home! COZY 1 1/2 story home on 85 X 110 lot in Potomac Park. Home features 2 full baths, LARGE living room, NICE eat in kitchen with ample cabinets, REPLACEMENT WINDOWS, Enclosed sun porch, Carport, Detached 2 car garage, Den area, NICE front porch. Convenient to everything. A fixer upper in small town America, at a price to sell. 2 Bedrooms, Some windows replaced. Home needs major renovations & a cash sale will most likely be required of re/hab loan. Nice lot, Fenced in rear yard. Cottage style cape home with 1200 +/- sq. ft. of living space. NICELY remodeled, Ceramic tile kitchen floor & dining area, REPLACEMENT WINDOWS, MBDRM with sitting room or could be a walk in closet. All buildings have newer metal roof. Detached 2 car carport. Detached garage / shed across street also conveys. Very nice “L” shape RANCH home on a CORNER LOT. Lots of OAK kitchen cabinets, Living room features a wood burning FP, C/A to keep you cool, Ample closet space, 58 X 138 CORNER lot, 2 car carport & much more. Take a look! You will not be disappointed. 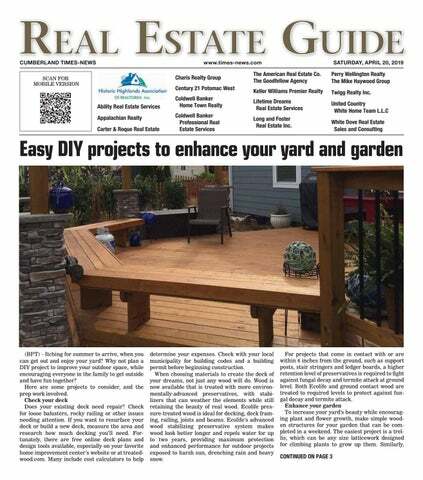 Cumberland Times-News Real Estate Guide.